Military grade truck accessories for work and play built to last forever. 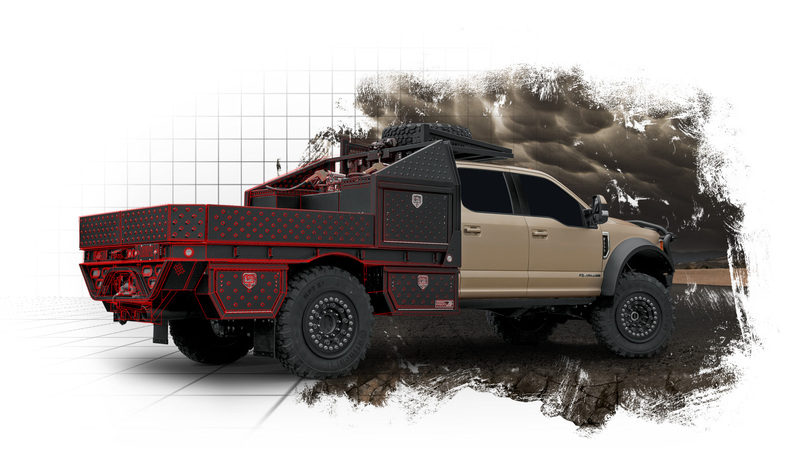 Our aluminum work truck accessories and work truck parts are designed to help you complete the toughest jobs on earth, while ensuring your valuable trucks, tools and gear stay protected. We stand proudly behind our products with a Lifetime Transferable Warranty. 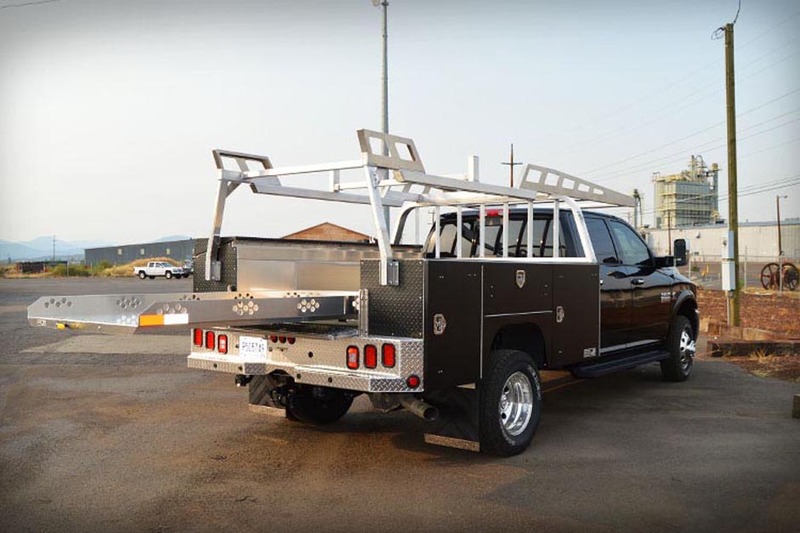 Whether you're a contractor, working for a government agency, painter or blue collar professional, we've got the work truck solutions you need. HPI manufactures a wide range of truck bed storage solutions such as our Pickup Pack™, Surveyor Pack™, Truckslides™ and more. Your expensive equipment deserves proper secure storage and organization and blue collar jobs are tough. You need truck bed storage that will last forever and is backed by a true Lifetime Warranty. New for 2018, the Savage™ Headache Rack is the perfect addition to HPI's line of work truck tough headache racks. The Savage™ was built to not only achieve that off-road look only the true truck enthusiasts crave, but also stand up to the task when the rubber leaves the road. HPI offers a complete line of work truck solutions ranging from Service Bodies and Flatbeds, to Truckslides and Pickup Packs. Our complete line embodies what you truly need on the job site. A rig that's built Work Truck Tough that will last you a lifetime. We build products that cater to every line of work and personal style. Shop our aluminum pickup truck accessories including work truck racks, truck bed storage solutions, aluminum flatbeds and much more. Our standard products fit most Ford, Chevy, Dodge, GMC and Toyota truck models. If we don't carry the product to fit your truck or you don't see what you're after, call us for our custom work truck accessories solutions. Strongback™ construction. Durability for life. Guaranteed. Unrivaled durability and style. High-performance organization. The tonneau cover alternative. Functionality, organization and security. Shop our aluminum truck parts and equipment by collection. Whether you need parts and equipment for your pickup truck, semi, or dedicated work truck, we’ve got you covered. Highway Products custom service bodies change the game for you. You no longer have to buy an off-the-shelf solution that is less than ideal. Highway Products manufactures the world's toughest and most functional truck accessories, semi truck accessories and work truck solutions ever built. Everything produced is hand-forged from beginning to end from military grade aluminum and backed by our exclusive transferable lifetime warranty, guaranteeing our products will outlast your truck AND the next one you throw our product on. Our products are carefully crafted to match a number of popular truck lines from Ford, Chevy, Dodge, Toyota and more. For decades, HPI has been preferred by contractors and admired by truck enthusiasts worldwide.